Two of companies that are close to my heart are now on the NET! When I was still going to college I had a sweet summer gig working for TW Remodeling. 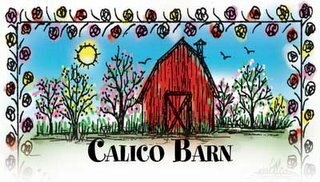 During one such summer we worked on a huge project right on the edge of downtown Osseo building the new home of the Calico Barn. This was a huge project that I'm very proud of. I recently came across a postcard sent to my house with their upcoming seasonal dates. On the back of this card, they had their new web address. This then prompted me to do a search for TW Remodeling, and sure enough, Todd has a site up for that as well. I'm happy to see these two great company now have a web presence. Best of luck to the Wallock family, TW Remodeling, and the Calico Barn. If you've had a postive experience with either company, I'd love to hear your feedback, and your experience.